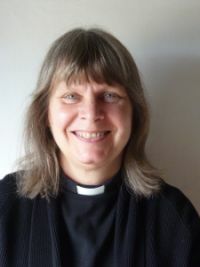 Jill Hartman is an assistant minister at St John the Evangelist church, St Leonards on Sea, where as well as taking services she is involved with the pastoral care of the congregation. She’s a spiritual director and is also involved with the healing ministry at St Johns. Coming from an art background, Jill continues to paint landscapes, seascapes and still lives, usually in oils. She has also taught art to adults for many years and continues to teach one class a week. Jill is married to Mike and they have three adult daughters, one of whom is married with four children.